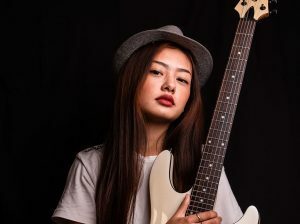 Meet Keneisenuo Sorhie, a 19-year old musician from Kohima who is garnering attention on Social Media for her music. This young musician has performed at various prominent events in Nagaland. With no formal education in music, Sorhie has covered four cover songs so far: ‘Scared to be Lonely,’ ‘That’s Christmas to me,’ and ‘Make You Feel My Love’ on YouTube and Instagram. Her cover on ‘All I Want’ by Kodaline has received 218,050 views till date. Although she has not released any originals, she has the promise of what it takes to be someone who can own the stage. In today’s Rhythm of Love she talks to us about her musical journey. Keneisenuo Sorhie: Ever since I was young I always wanted to be in the music scene. Kitchen was where I uttered my first tone and felt in love with singing. I never had formal music education or vocal yet undying zeal to be a singer contributes to my little success. Taking part in school singing competition and church choir was my platform back then. Eastern Mirror: You seem to be quite young. Is music a long term aspiration to you? Keneisenuo Sorhie: As long as I’m alive, I would love to present God’s gift of music to people who love my music as inspiration and blessings. God willing I would love to make music as my profession one day. Not only I aim for the state but national and international is where I want to take my music to. Eastern Mirror: You are drawn more towards contemporary and old sad songs. What is it about this genre/music that draws you? Keneisenuo Sorhie: I’m more into sad and depression songs. Not that I’m depressed or something but I feel like it’s a better way to express oneself and people can relate more to it..
Eastern Mirror: What is Team Table 3 all about? Keneisenuo Sorhie: Table 3 is a group of solo artist which consist of 8 members comprising of singers, rappers and beat boxers to name a few…. 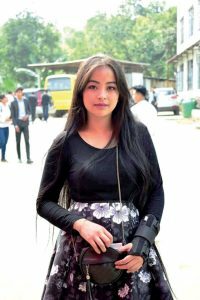 The main aim of the group is to promote God’s given talent and that anybody can achieve it, the members have been performing in and out of Nagaland like Delhi, Bangalore to mention a few. Eastern Mirror: How much time do you spend on Social media and YouTube in a day? Is there a division on personal posts vs. promotional posts? Keneisenuo Sorhie: Social Media has become a part of me whereas I spend most of my leisure time on Social Media for music. Eastern Mirror: Tell us your relationship with social media. Keneisenuo Sorhie: Social media is a good platform to showcase yourself and your talent. I usually upload my short cover videos featuring Sede Belho on Instagram and I have received maximum recognition through social media. Eastern Mirror: Have you ever dealt with performance anxiety? If so, how do you deal with it? Keneisenuo Sorhie: It’s hard to tell the difference, because one has to work hard to make it happen. Keneisenuo Sorhie: The plans which I have as for a future musician is to make more songs, collaborations and hopefully be successful in what I do.